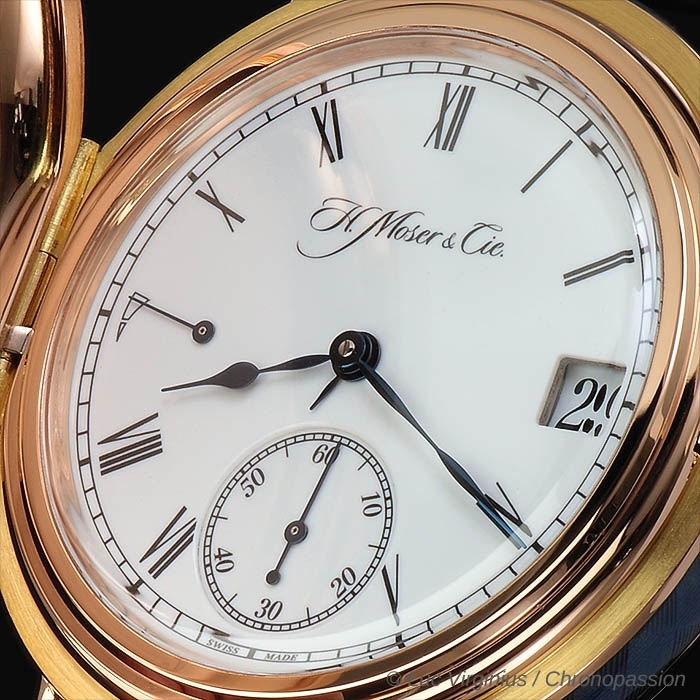 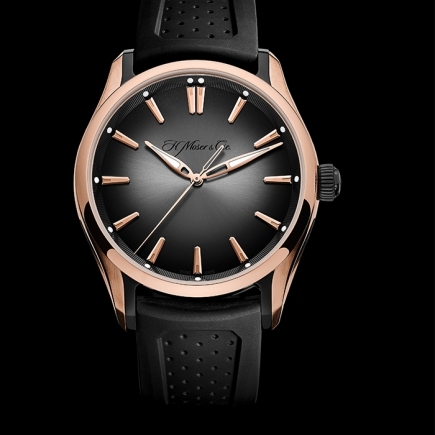 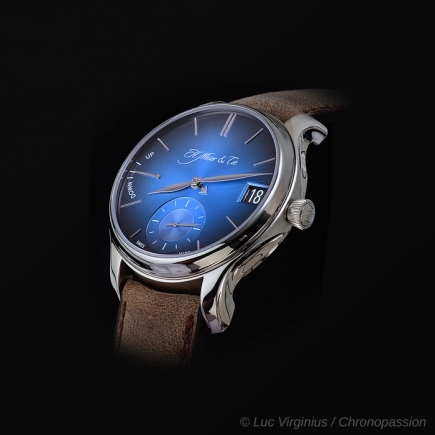 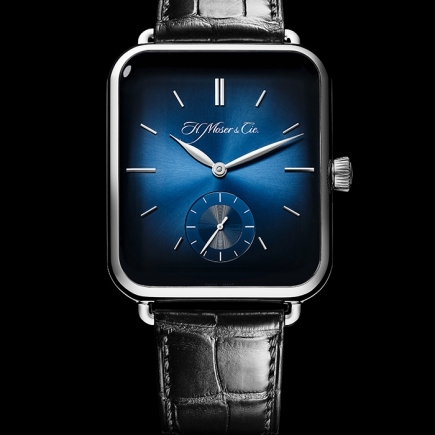 H Moser & Cie | 238'000 € Tax inc. 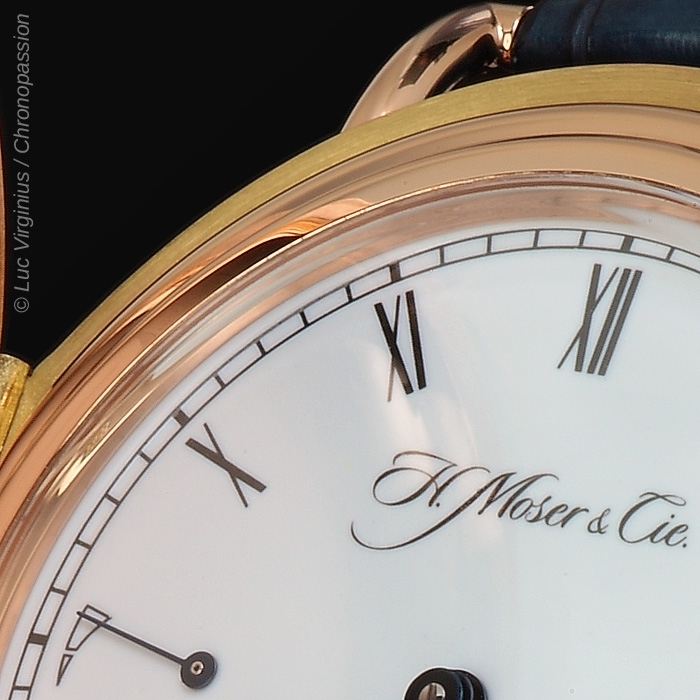 The inspiration behind the Perpetual Calendar Heritage Limited Edition came from an H. Moser pocket watch dating from the late 19th century in the H. Moser & Cie. collection. 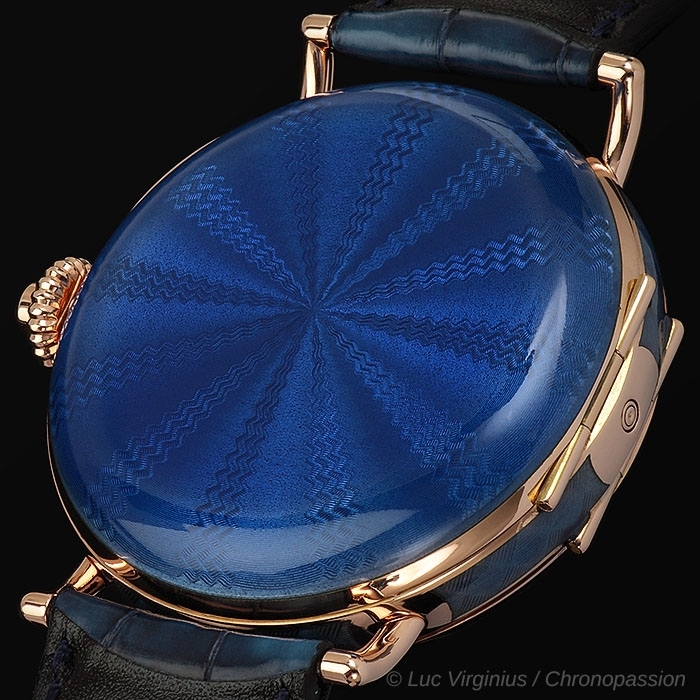 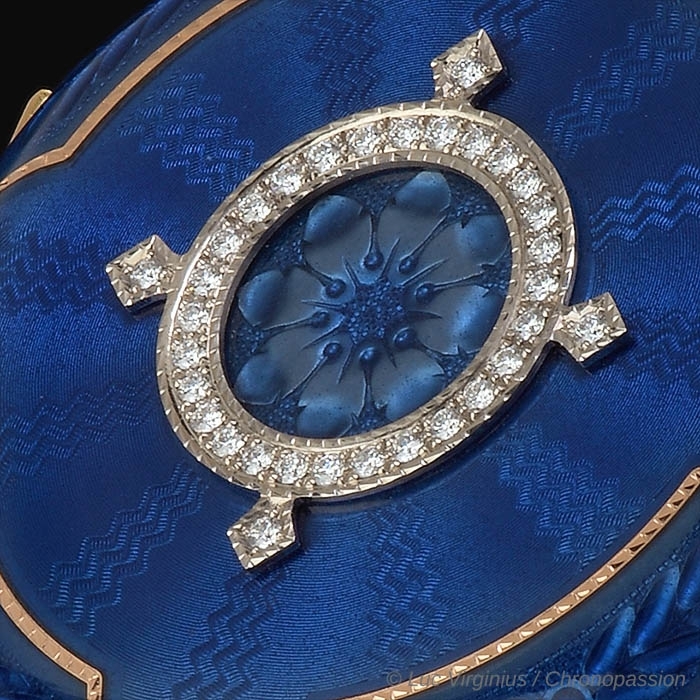 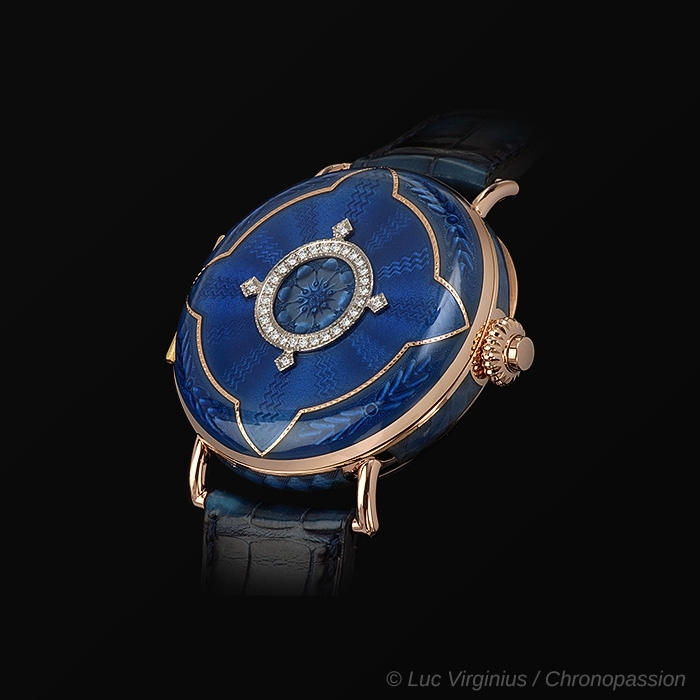 The case on this model, made from a striking blue, engraved enamel and studded with diamonds, inspired the watchmakers at the Schaffhausen-based Manufacture to reinterpret this watch, calling on the best craftsmen to work on the case. 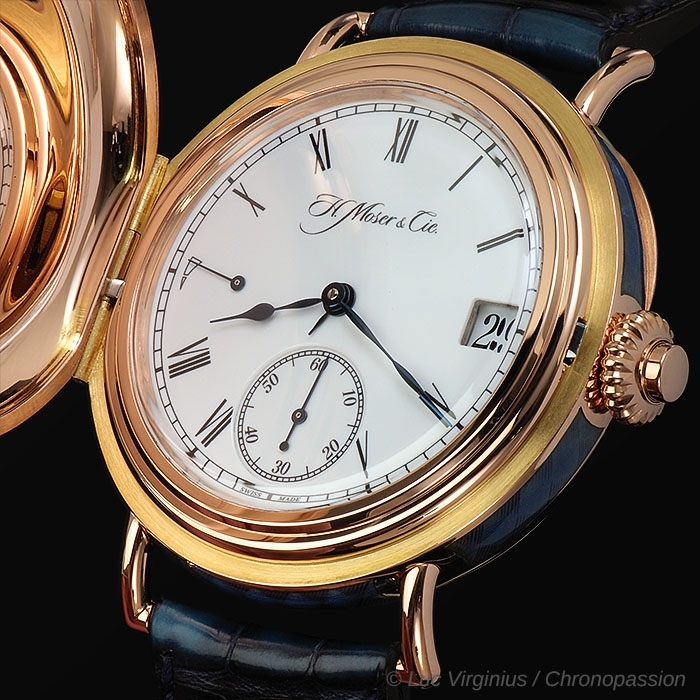 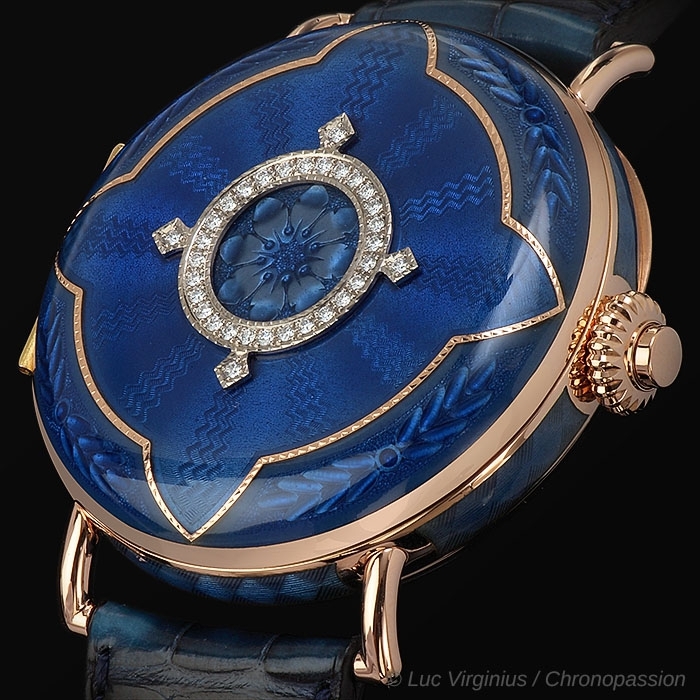 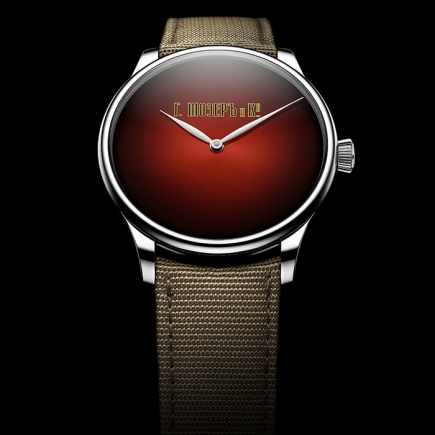 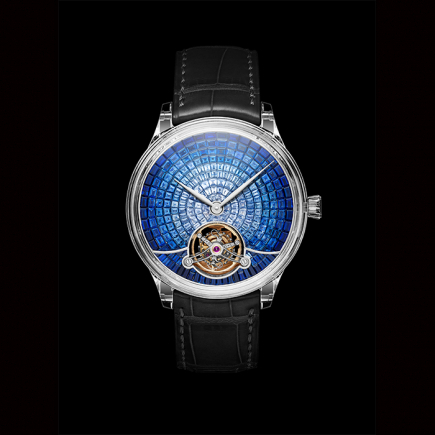 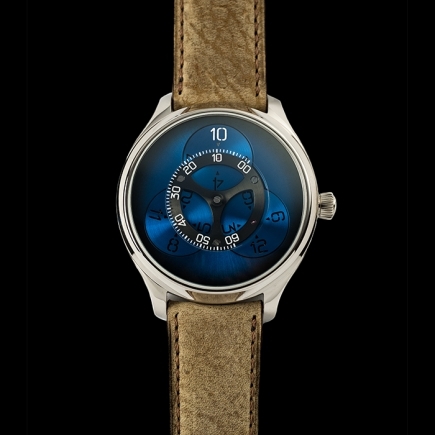 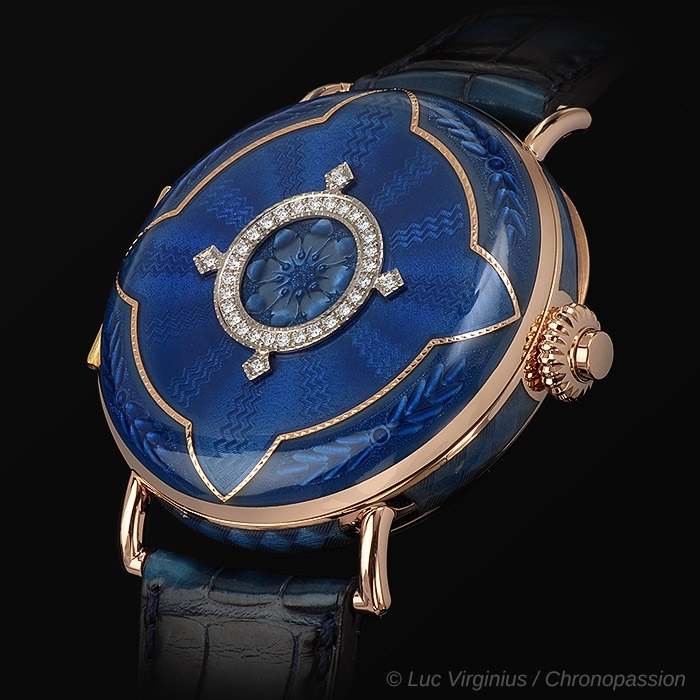 Featuring "cloisonné" enamel on a case with two covers, guilloché, engraving and setting techniques as well as "Grand Feu" enamel on the dial, in association with a modern in-house, hand-wound calibre made from solid gold: the Perpetual Calendar Heritage Limited Edition is the synthesis of the greatest arts in watchmaking craftsmanship. 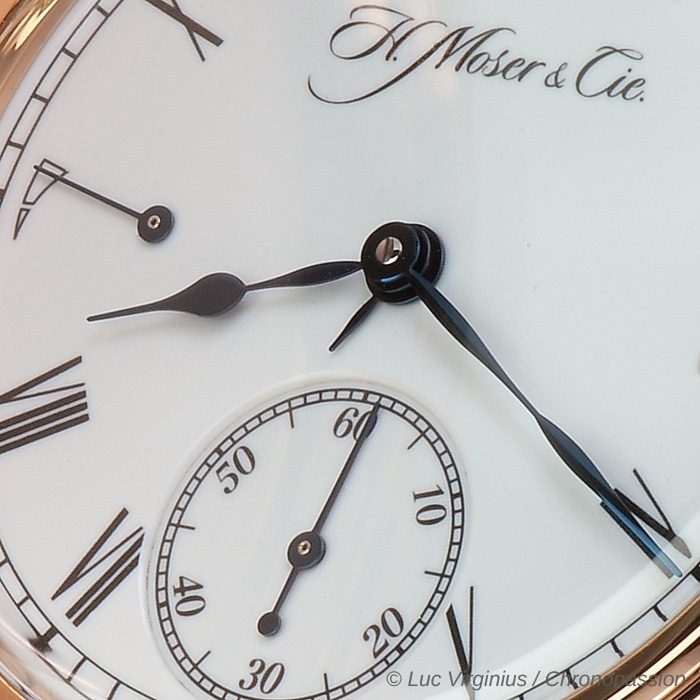 It also symbolises the link between the past and the present for H. Moser & Cie., founded in 1828, through a reinterpretation of an historic watch which retains its original features, now in a larger dimension and fitted with a strap. 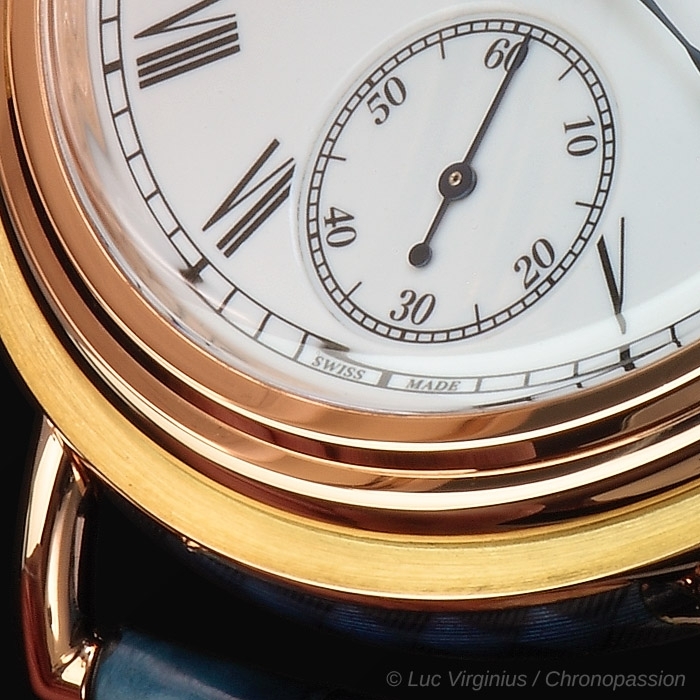 The red gold case with two covers has therefore been enlarged and features extremely fine lugs, while respecting its original design. 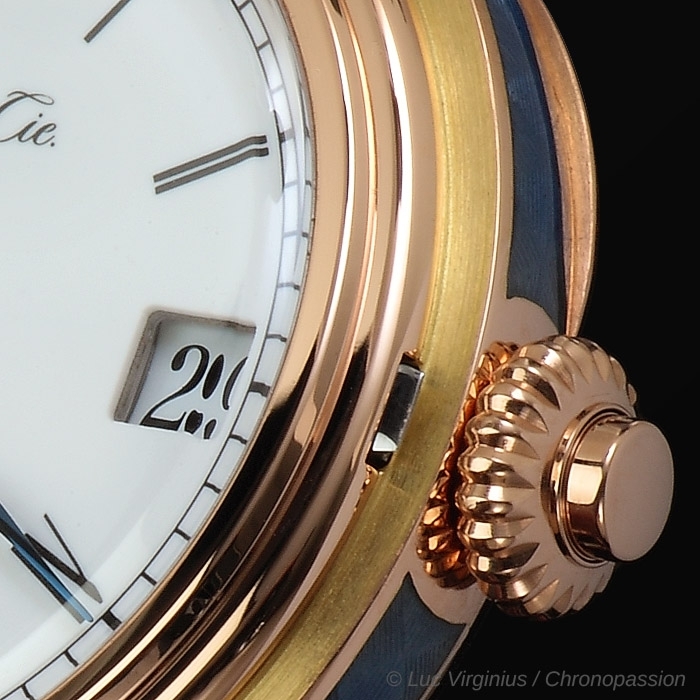 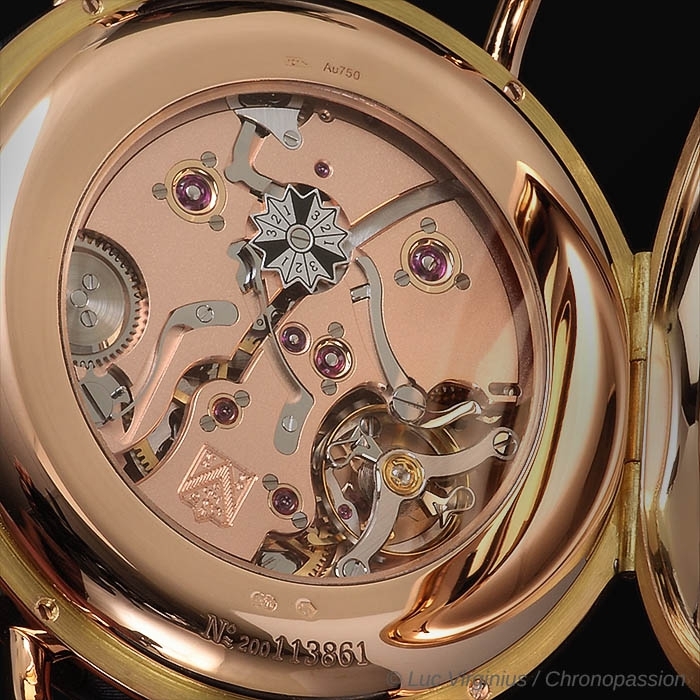 On either side of the watch is a cover with hand-engraved, guilloché decoration, extending up the side of the case. 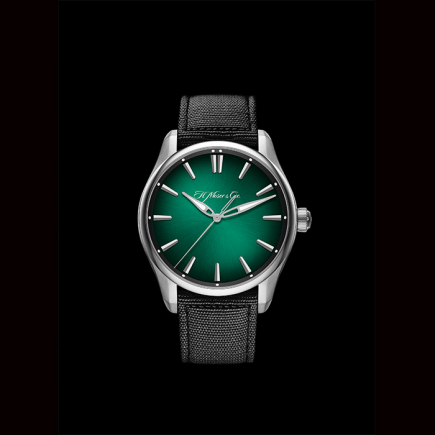 These have then been enamelled, demonstrating the highest level of craftsmanship, and set with diamonds on the dial side. 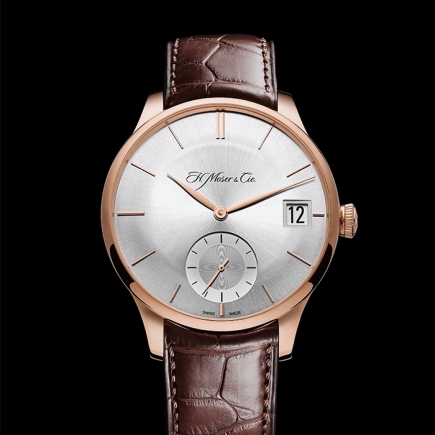 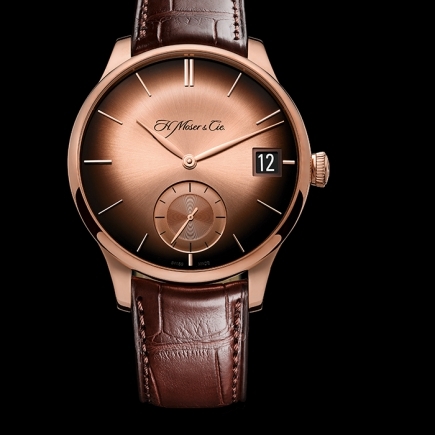 Paired with a crocodile leather strap, this beautifully rounded case is as smooth as a pebble. 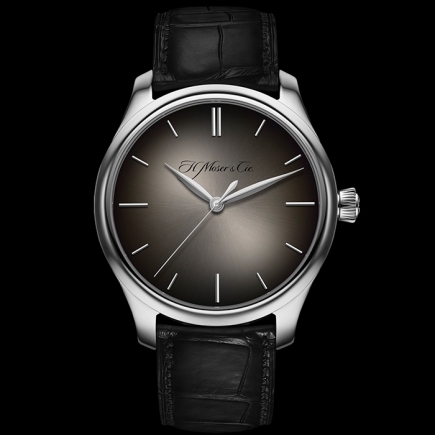 In reference to the historic timepiece, H. Moser & Cie. fitted its Perpetual Calendar Heritage Limited Edition with a notched crown equipped with the Double Pull Crown system and fitted with a push-button mechanism for opening the upper case cover.